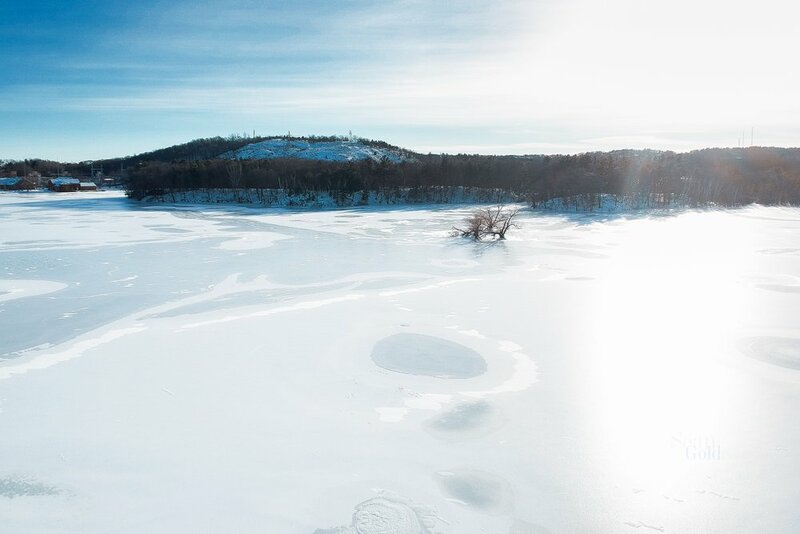 Wintery Drone Photos - A Beautiful Surprise On The Frozen Pond! 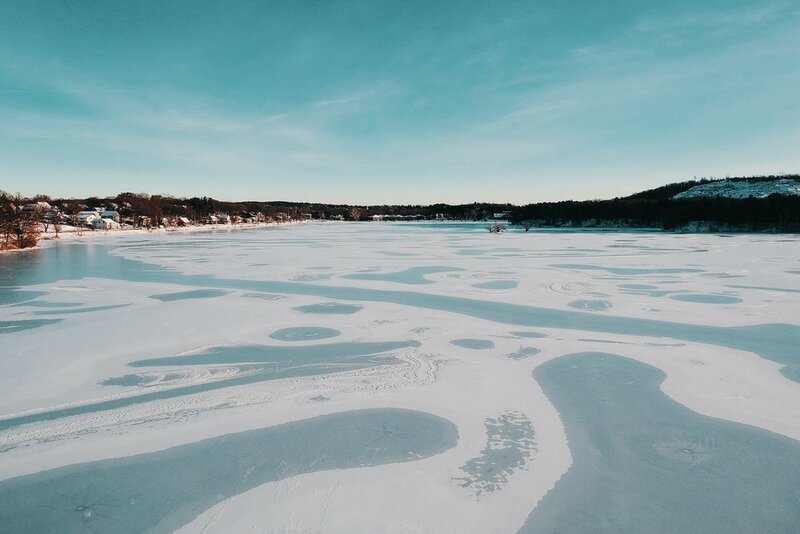 Today I wanted to share some of the wintery drone photos I was able to capture in the last couple of days! 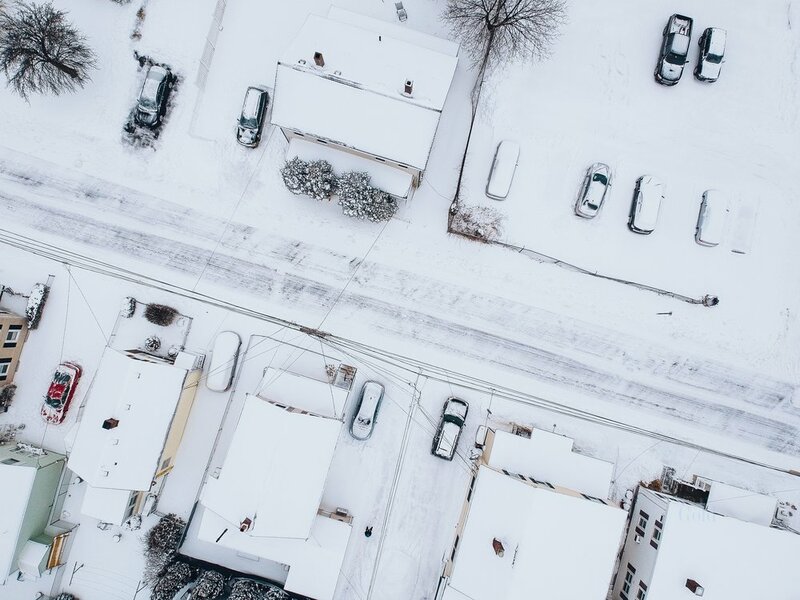 We got our first real snow here in Boston a few days ago, as well as some crazy arctic air that dropped temps as low as -25F with wind chill. This was the longest Boston has gone into winter without a real snow since 1873, when we started recording such things. I was super excited to finally get some snow, since without it winter here is just cold, dead and quite depressing. Snow makes the world beautiful and really transforms winter from just bearable to something magical. 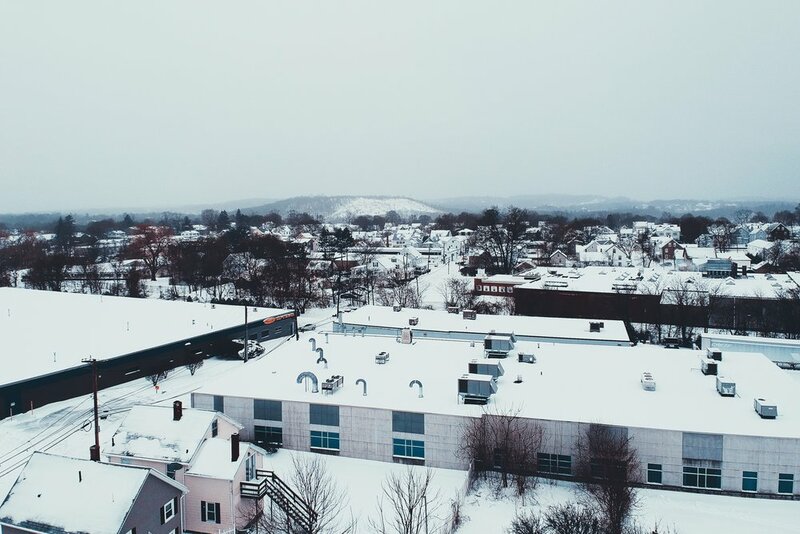 So the first day of the snow, once it barely stopped, I ran out into the 10F degree weather and decided to test flying in these conditions with my small travel drone. 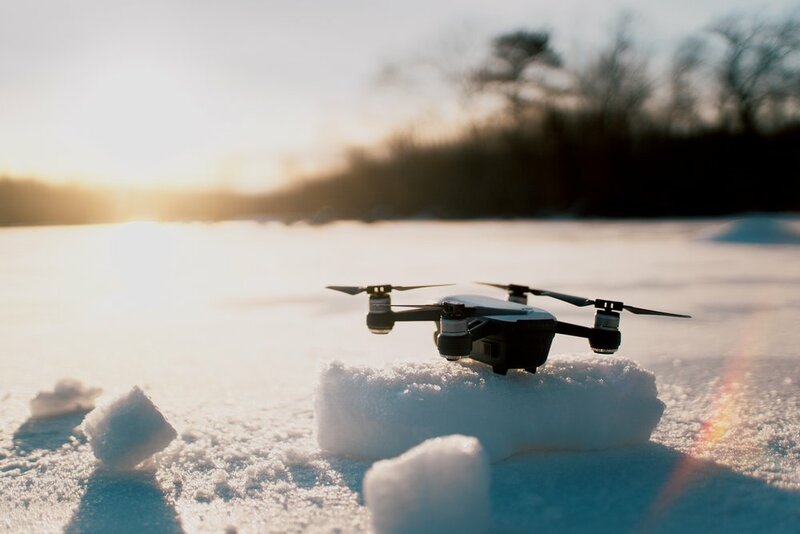 Flying in the winter comes with quite a few challenges and risks, the main being a battery that is too cold and dies out mid flight. So you have to keep your batteries warm, and then even sometimes let them warm up more by hovering for a minute or two, while you keep an eye on your battery temperature. Once the battery temp looked good, I went up and out a bit around my neighborhood. After doing a couple of flights, I was a bit nervous as it was still slightly snowing and the propellers sounded a bit funny, so I landed to find them beginning to ice up. That was enough for today. But the next day would be clear, but still bone chilling cold. I decided I'd make the trek down to my pond and get some fly time in regardless. I bundled up, charged up my batteries and then plugged in my portable charger into the drone to keep the battery warm from the current. Here's some of what I got from my first flight! After a few flights at my first spot, I decided to walk to another location on the pond for my next flight. 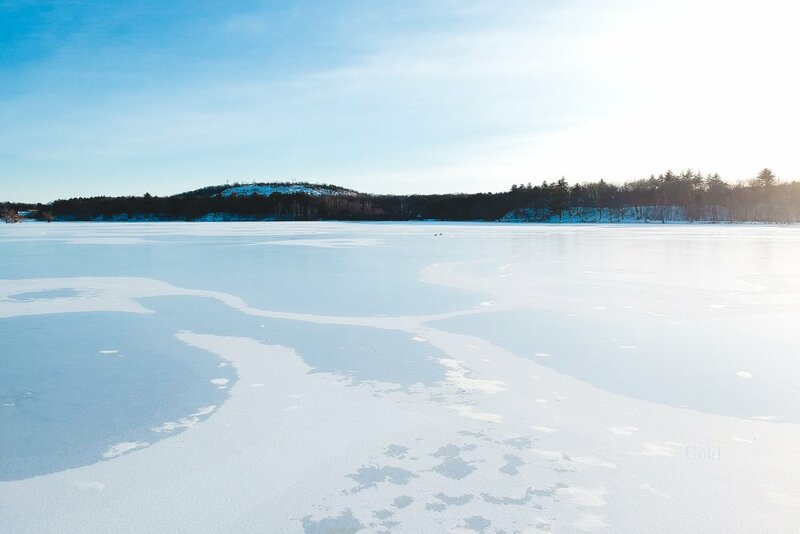 After arriving there, I walked out onto the ice for a clear spot to take off from, and noticed something way out on the ice so I decided to fly out and see what it was. 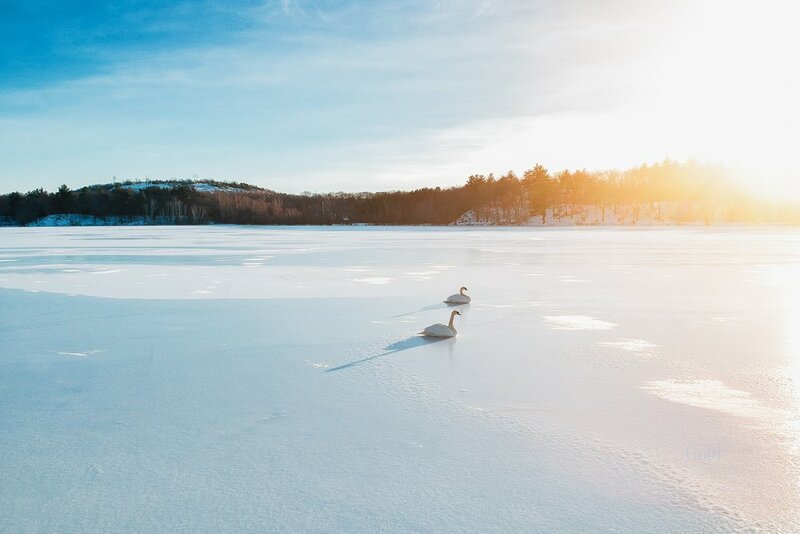 Two beautiful swans way out on the ice all by themselves! I got a few cool shots of them then decided to call it a day as my hands were freezing, here's the other shots. But wait, before I go home, might as well take some shots of my little Sparky too, no? Of course. Can't wait to get back out and fly some more in these conditions now that I feel comfortable flying in the extreme cold! Hope you enjoyed! What was your favorite photo? 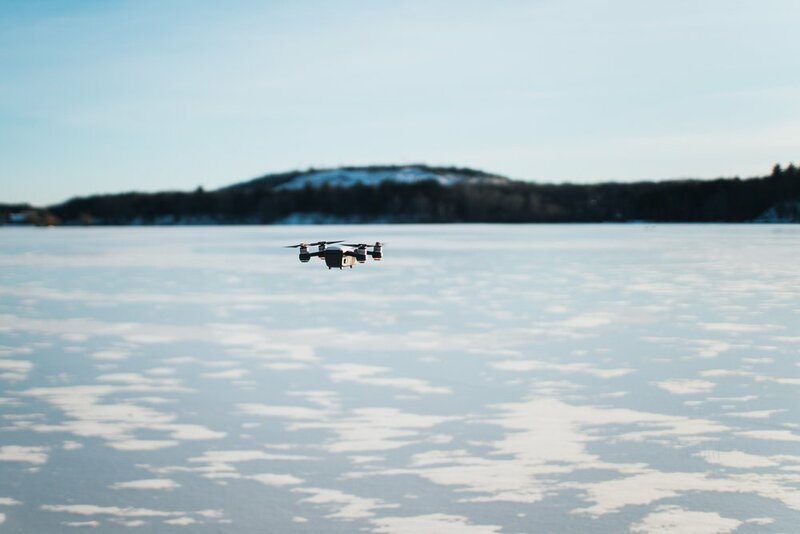 Have you flown your drone in the extreme cold? Be sure to check me out on Instagram at www.Instagram.com/SeanGoldPhotos or my website at www.SeanGold.com !